COULD the most unpopular President in the history of the United States of America win a second four-year term in 2020? One Sportsbet punter seems to think the Twitter-in-chief is as good as home, placing $120,000 on him to win re-election. The punter has placed $100,000 at odds of $3.40 and another $20,000 at $3.75. The bookmaker faces a potential payout of $415,000 should the orange-skinned leader shock the world for a second time. Trump is only $1.72 with the online bookie to win the Republican nomination with Mike Pence and Paul Ryan both considered chances at $5.00. While a $120,000 wager on the 71 year old reality TV star seems bizarre, that bet may not be the craziest part of Sportsbet’s presidential market. A closer look at the odds for the US presidency in 2020 reveals a hidden bargain for shrewd punters. Bernie Sanders, the Democratic nominee who rose from obscurity to challenge Hillary Clinton in that party’s primary race in 2016, is paying $21 to be the country’s next president. Sanders, overwhelmingly the country’s most popular politician, is only one year older than Trump and leads almost every single poll by double digits. In most betting markets with more knowledge of the polling and numbers, Sanders is an overwhelming favourite. In one CBS poll released in September, Sanders was leading a Democractic primary vote at 28% – 14% ahead of his closest rival Elizabeth Warren – in a survey that included 14 potential nominees. In a Fox News survey in August, Sanders polled 14 points ahead of Trump in a head-to-head presidency preference poll. Fox News, the staunchly conservative news outlet, recently released figures that show Trump last month reached historically-bad figures of 33% popularity. 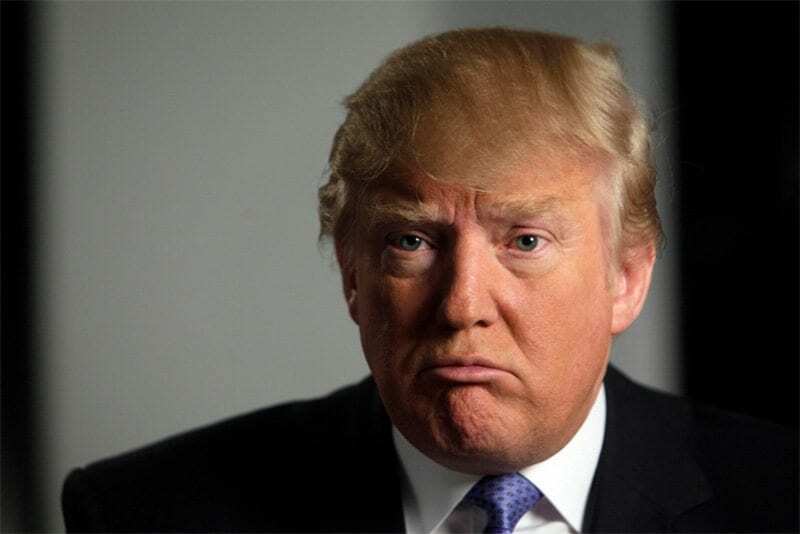 “Who knows what Trump will do between now and 2020, so it’s quite the gamble to take and you have to admire the punters confidence,” said Sportsbet.com.au’s Will Byrne. My word Sportsbet will admire it. They’ll admire it all the way to the bank. You could see why the bookmaker would take the big bet. 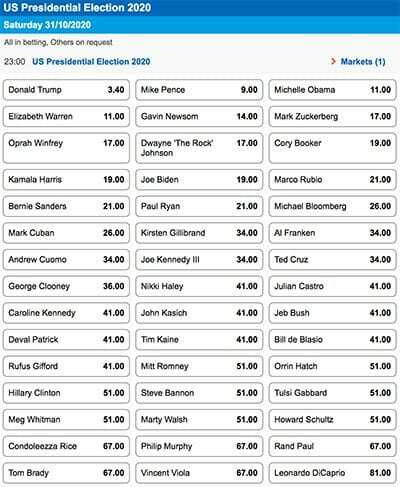 Sportsbet also provides other markets on Trump where he is paying $2.20 to be impeached (removed from office) before the end of his first term and while he is a $3.40 favourite to win the 2020 Presidency, strangely enough in a pure Yes/No market, Trump is a $1.36 favourite to not score a second term. The rest of Sportsbet’s market is made up from celebrities and other barely-political figures who have shown small amounts of interest in running. It would be remiss of this site to rule anyone out, even Dwayne ‘The Rock’ Johnson at $17, considering who currently sits in the Oval Office. Could the USA really do it to themselves again? You know what they say – only in America.